Photo: Richard Lane/Richard Lane Photography..Australia v England. Quarter Final, IRB Rugby World Cup, RWC 2007. 06/10/2007. 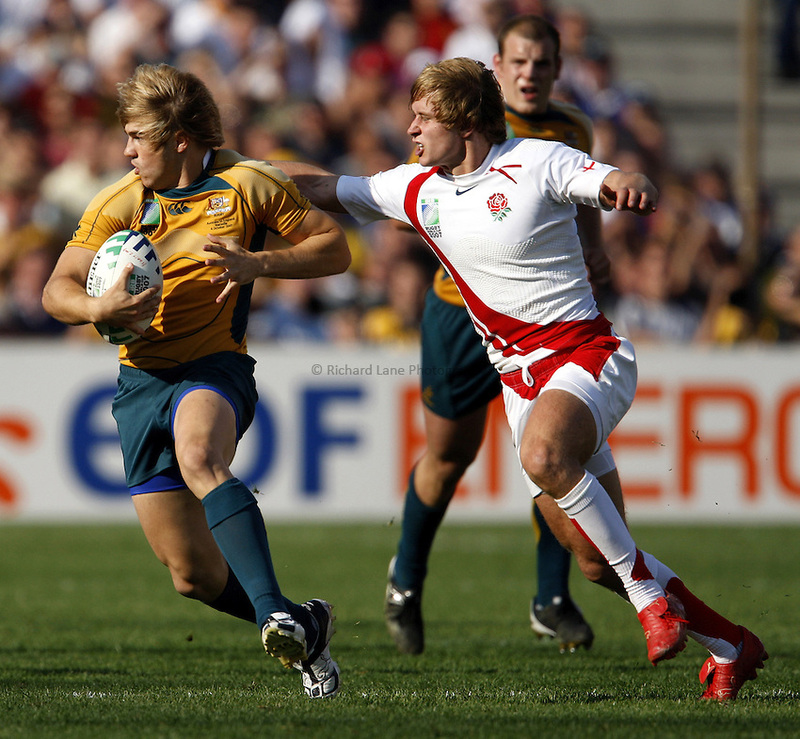 .Australia's Drew Michel is tackled by England's Mathew Tait.